Local media outlets say iron ore miner Samarco Minerals SA – which runs the iron joint venture between Brazil's Vale SA and Australia's BHP Billiton Ltd - received serious safety warnings from ground sensors in 2014 and 2015, months before the deadly and environmentally-destructive burst of a tailings dam last year. The alerts came from probes deep within the dam's structure, which detect ground moisture and stability, according to Brazilian current affairs programme Fantastico. 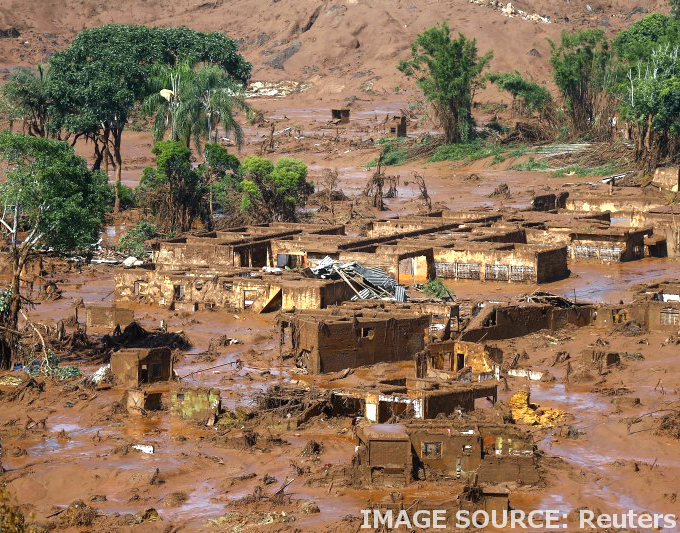 The warnings reached “emergency” levels, the reports say, citing Samarco’s own engineering studies provided to prosecutors investigating the case. The giant spill may be the worst environmental disaster in Brazil's history. The mine’s backers are in talks with Brazilian federal and state prosecutors and environmental agencies over a $US5 billion public lawsuit. Fantastico said the studies did not include sensor data from key areas that would have let them asses the integrity of recent enlargements to the dam. The report said it was a sign of the scant regard for the sensor data. “It is an extremely grave omission that compromised the operational security of the dam,” prosecutor Carlos Eduardo Ferreira Pinto said about the sensor data. He said the enlargement of the dam “compromised it in a way that was decisive to its rupture”. A Samarco lawyer told reporters that the company followed all applicable safety and environmental laws, and that the area of the dam without sensor data was the most secure part of the structure. BHP has previously said it will make the findings of an external investigation into the dam burst by New York-based law firm Cleary Gottlieb Steen & Hamilton public.